NASHVILLE, Tenn. (January 18, 2016) – As Ira Glass said, “Great stories happen to those who can tell them,” and country star Bill Anderson is living proof. The only known songwriter in history to achieve an entry on the country music charts in each of the past seven consecutive decades, he has created an unprecedented story for himself in his career. Known for his breathy voice and soft approach to singing which earned him the nickname “Whisperin’ Bill Anderson, he is slated to showcase his talent that’s both behind-the-scenes and on-stage on Saturday, February 6 as he performs on the national television series, “The Dailey & Vincent Show” (RFD-TV). 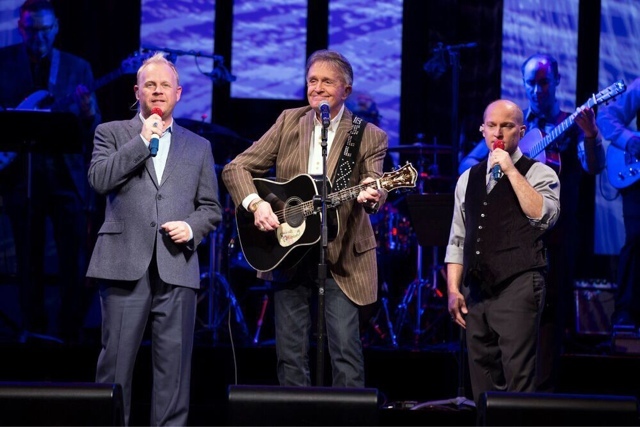 Tune in to see Bill Anderson on “The Dailey & Vincent Show” on RFD-TV Saturday, February 6 at 9:30 p.m. ET. A recipient of the BMI Icon Award in 2002 recognizing his indelible contributions to the music industry, Anderson has penned career-defining hits for various top-charting country artists like “Whiskey Lullaby” (Alison Krauss/Brad Paisley), “A Lot Of Things Different” (Kenny Chesney), “Give It Away” (George Strait), “Country” (Mo Pitney), among hundreds more. He is also a frequent host of the legendary Grand Ole Opry, of which he has been a member for 55 years, and achieved what is arguably country music’s highest honor in 2001 – membership into the Country Music Hall of Fame. As a solo artist, Anderson has seven No. 1 hits to his name: “Mama Sang A Song,” “Still,” “I Get The Fever,” “World Of Make Believe,” “My Life,” “For Loving You” (with Jan Howard), “Sometimes” (with Mary Lou Turner). Other known hits include "City Lights,” “Po’ Folks,” “8X10,” “Bright Lights and Country Music,” and “That’s What It’s Like To Be Lonesome.” He tours regularly performing dates at various venues and events throughout the country. Jan. 22 Opry at The Ryman – Nashville, Tenn.
Jan. 29 Opry at The Ryman – Nashville, Tenn.
Jan. 30 Opry at The Ryman – Nashville, Tenn.
Feb. 06 The Grand Ole Opry – Nashville, Tenn.
Feb. 09 Florida State Fair – Tampa, Fla.
Feb. 12 The Grand Ole Opry – Nashville, Tenn.
Feb. 13 The Grand Ole Opry – Nashville, Tenn.
Feb. 19 The Grand Ole Opry – Nashville, Tenn.
Feb. 20 The Grand Ole Opry – Nashville, Tenn.
Feb. 23 The Grand Ole Opry – Nashville, Tenn.
Feb. 26 The Grand Ole Opry – Nashville, Tenn.
Feb. 28 Orange Blossom Opry– Weirsdale, Fla.
July 09 American Music Theatre – Lancaster, Pa.
July 22 Palace Theatre – Crossville, Tenn.
July 23 Earle Theatre – Mount Airy, N.C.
Sept. 23 Country Tonight Theatre – Pigeon Forge, Tenn.
Anderson also hosts the national TV shows “Larry’s Country Diner,” “Country’s Family Reunion,” and participates in other various hosting gigs throughout the year. For more information on Bill Anderson including details on his upcoming tour dates, please visitwww.billanderson.com. Follow him on Twitter and Facebook!